On the way from San Marino yesterday, I had to stop for some gas near Rimini, a beautiful beach town on Italy’s Adriatic coast. As an aside, Italian gas prices are among the highest in Europe… and the world… at €1.77 per liter (almost USD $8.50 per gallon). Naturally, the vast majority of this is due to taxes. From the € 1.77 per liter, only about € 0.48 can be attributed to the price of oil. Profit margin and distribution costs run about € 0.28. The rest of it (just over 1 euro) is tax. This amounts to an effective tax rate of over 130% on fuel. Anyhow, when I pulled in to the gas station, I whipped out my American Express card and asked the attendant in broken Italian to turn on the pump. He acted like I had just punched him in the gut, wincing when he saw my credit card. “No… cash, only cash,” he said. I didn’t have very much cash on me, so I drove to the next station where a similar experience awaited me. This is a trend that is typical when economies are in decline– cash is king. Businesses often won’t want to spend the extra 2.5% on credit card merchant fees… but more importantly, distrust of the banking system and a debilitatingly extractive tax system pushes people into cash transactions. You can’t really blame them. In Italy there’s massive distrust of the local banking system. 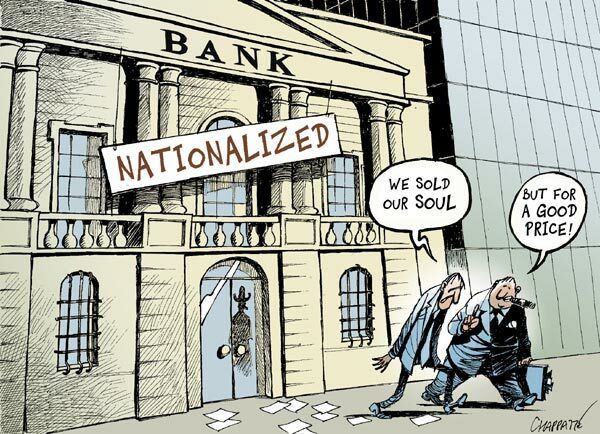 Most of the banks are insolvent, and the government has already started imposing capital controls by limiting withdrawals in some cases to 1,000 euros. As a result, many bank customers are facing substantial difficulty in accessing their funds; it’s easy to understand why they want to deal in physical cash– the counterparty risk is much lower. Nobody gives these issues much thought… right up until they get shut out of their account. But these are the real consequences of counterparty risk: anytime your asset is simultaneously someone else’s liability, you might have a big problem when tough times arise. This is when physical cash becomes a premium asset. It’s the same thing with gold and silver when you think about it. In the early days of the post-Lehman financial crisis, precious metals prices were tanking. At least, on paper. Gold and silver contract prices may have been plummeting in futures exchanges around the world, but simultaneously, premiums for physical gold and silver coins were skyrocketing. The US mint was unable to keep up with demand for physical coins, and premiums hit double digits by December 2008. It was an obvious example of the huge disparity between the paper price and the physical price. And in tough times, the paper price is irrelevant. Physical is all that matters. Cash is in the same boat. When you look at the numbers, the amount of physical currency in circulation is dwarfed by the digital money supply. In the EU, the M2 money supply is 8.77 trillion euros, of which only 861 billion is in physical cash… about 9.8%. In the US, the proportion is similar– $10.02 trillion M2 money supply, $1.1 trillion in physical cash. The rest is all digits in a database. It’s a prudent idea to heed this lesson from Italy, for as the banking malaise in southern Europe spreads, cash is likely going to be a premium asset in the rest of the world as well. And it certainly makes sense for individuals to have some holdings of cold, hard cash in addition to physical metal. After all, if you’re only generating 0.0000001% interest in your bank account anyhow, what difference does it really make to hold physical cash? You’re not worse off for it, but you’ll be a lot better prepared in case something goes wrong.